Barnes and Noble begun making e-readers back in 2009 and has continued to invest heavily into hardware and eBooks. Their primary focus is the US market, but in the last few years expanded into the UK. Today, we are going to take down memory lane and look at every single model they ever released and talk about important milestones. The first generation Barnes and Noble Nook 3G and WIFI model was released November 2009 and retailed for $259. The company broke the mold having a single screen and broke it up into two. The main reading panel was six inches and had a resolution of 800×600 and the bottom one was a 3.5 inch touchscreen with 480 x 144 pixels. 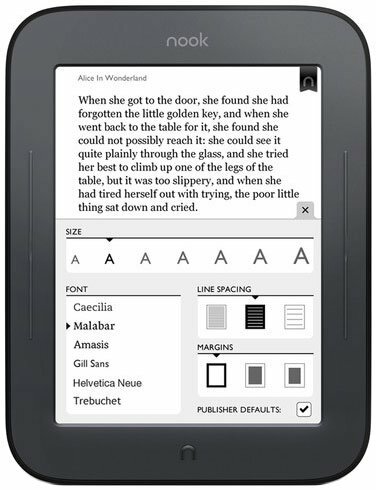 When Barnes and Noble released this e-reader they borrowed a page out of Amazons playbook by offering free 3G internet access via AT&T. Users did not have to pay a premium cost or a monthly fee to buy books. It was also compatible with most WIFI networks. In 2010 this model received a firmware update that had a web-browser and allowed users to get discounts or free books when connecting up to the bookstores WIFI network. The Nook featured a very innovative design and people at the time accused the bookseller of copying the Spring Design Alex. Spring Design thought so as well and initiated the lawsuit in 2009. They claimed they had met with Barnes and Noble to discuss jointly creating an e-reader. The meeting went nowhere, but months later Barnes and Noble released the Nook 3G. Spring design then took them to court accusing B&N of copying their design. 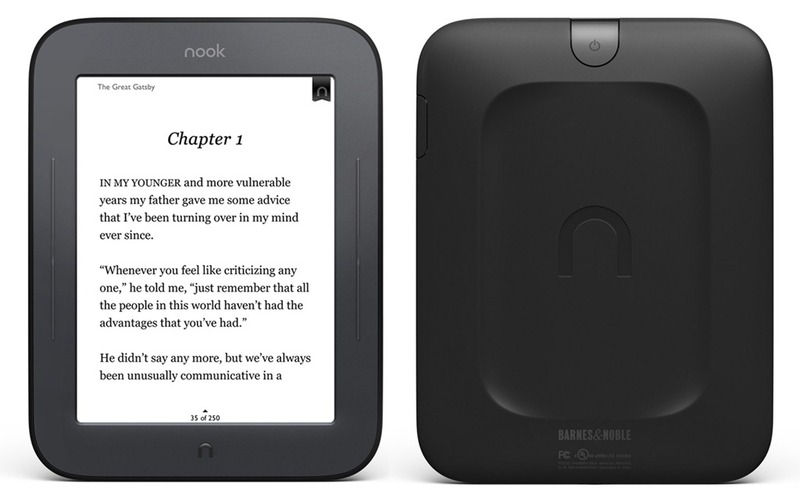 While the Nook went on to be a huge success, the Alex e-Reader ended up not selling very well. B&N ended up reaching an agreement to pay Spring Design a licensing free for the Nook 3G and the WIFI only model released the next year. 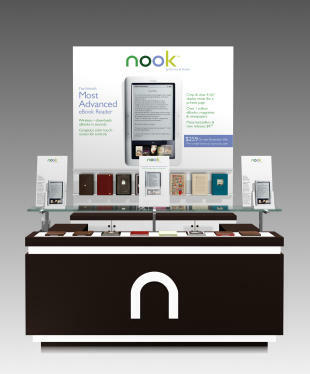 In June 2010 Barnes and Noble announced the followup e-reader the Nook WIFI. This model was exactly the same as the previous generation but lacked the 3G internet access via AT&T. This e-Reader had more success in the market than the previous generation because the price was a paltry $149. When the Nook WIFI first came out the company really hyped their LENDME program. This allowed publishers to opt into flagging their books as lendable. 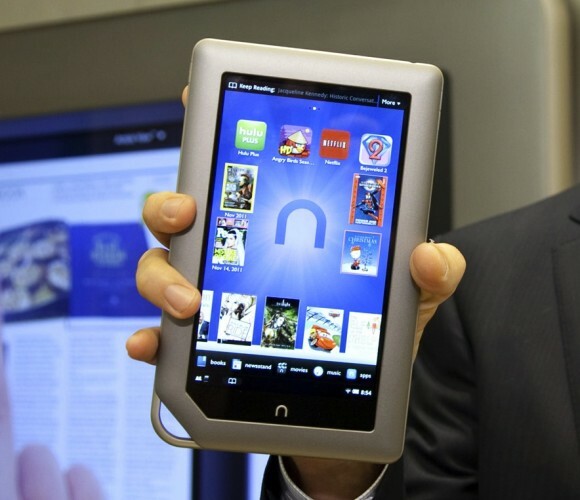 Users could then lend the eBook out to a fellow Nook user one time for up to two weeks. From 2009 to late 2010, Barnes and Noble invested heavily in its online ecosystem. Its relationships with Major Publishers through its bookstore business ensured that B&N could gain access to their digital wares and more books were added to its online portfolio. B&N quickly attained over one million titles in the first calender year and captured 20% of the entire ebook market. On November 19, 2010 Barnes and Noble released their answer to the tablet craze by marketing the Nook Color. 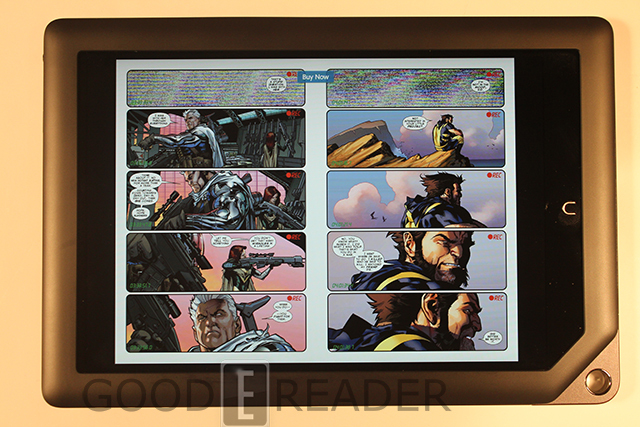 This was a fully featured touchscreen Android device that allowed readers to purchase magazines, graphic novels, kids books, newspapers and of course eBooks. 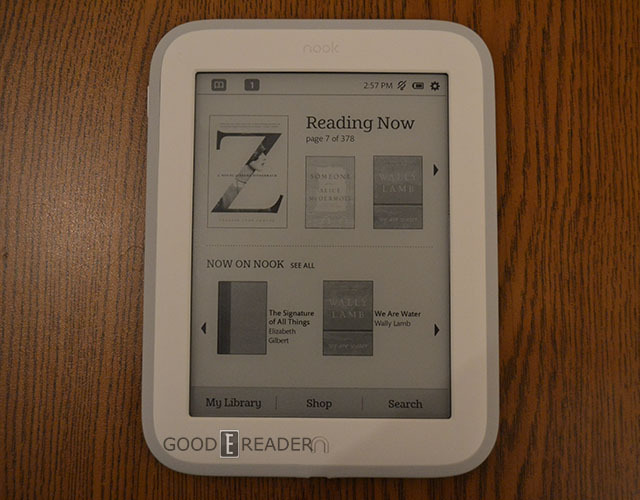 When it first came out the street price was $249, the Nook Color and ran Android 2.1. One of the most compelling features about this reader was the fact Barnes and Noble invested heavily in their own app ecosystem, so users could install other software. 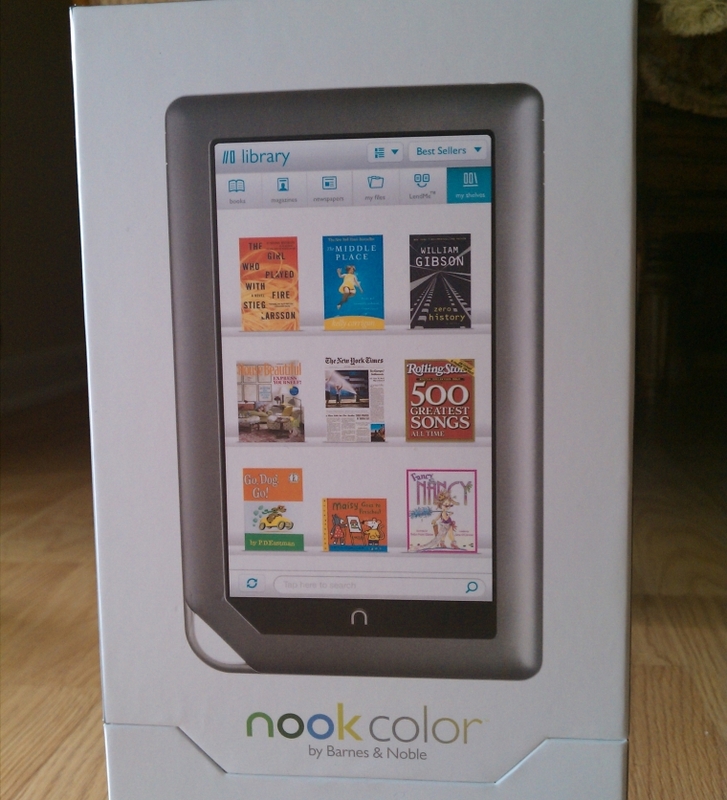 On February 21, 2012, the price of the Nook Color was reduced to US$169. 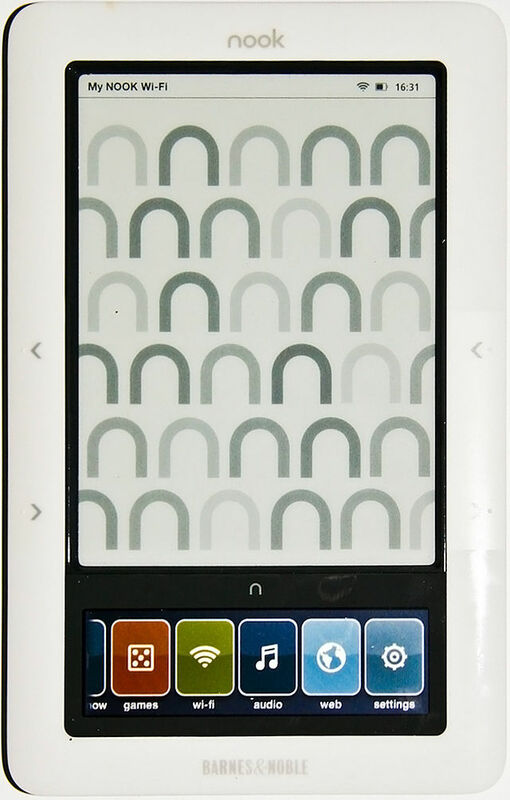 On August 12, 2012, the price of the Nook Color was reduced to US$149. 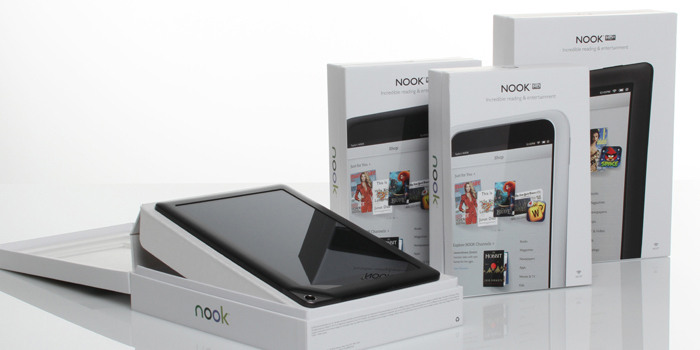 On November 3, 2012, following the release of the Nook HD and Nook HD+, the price of the Nook Color was reduced to US$139. 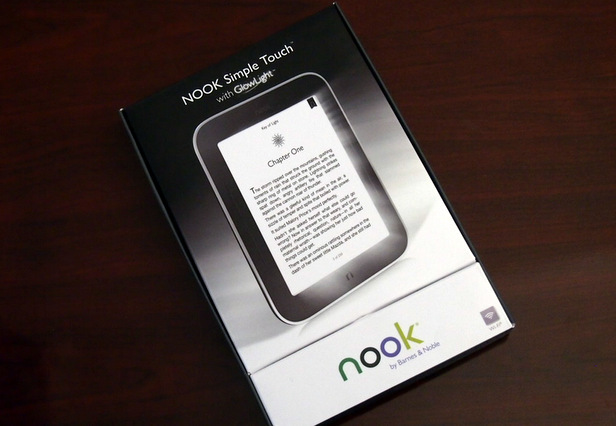 On May 11 2011 Barnes and Noble released their first touchscreen e-reader called the Nook Simple Touch and retailed it for US$139. This was the first device issued that used Neonode Infrared technology to give pinpoint accuracy. What a difference a E Ink touchscreen makes. UI-wise there’s almost no point in comparing the new Nook to the original, or even the Nook Color. After seeing how easy it should be to page through books, jump to pages, change my font size, jump into another book, and preview or purchase a new title, I’m almost embarrassed for Amazon. The Kindle 3′s abstraction of the UI onto hardware buttons and endless menus seems positively last century in comparison. Even typing on the Nook is faster and easier than it is on the Kindle’s hardware keyboard. This was the most successful e-reader Barnes and Noble ever made and helped the companies profit margins increase over 70% by the end of the year and digital sales increased 113% from 2011. The Nook Tablet came out in November 2011 and retailed for $249. The device is based on the Nook Color design by Yves Béhar from fuseproject. Its frame is gray in color, with an angled lower corner intended to evoke a turned page. The textured back is designed to make holding the device comfortable. This device had a 1GHz dual-core processor and 1GB of RAM, both upgrades from the Color’s 800MHz single-core CPU and 512MB of RAM. The RAM is also double that of the Kindle Fire, though the processor clocks in at the same speed. B&N really focused on streaming multimedia content and included apps preloaded on the Tablet such as like Netflix, Hulu Plus and Pandora. One of the advantages this device had over the iPad and the Kindle Fire was the inclusion of a microSD card, and you can rock up to an additional 32GB of storage. 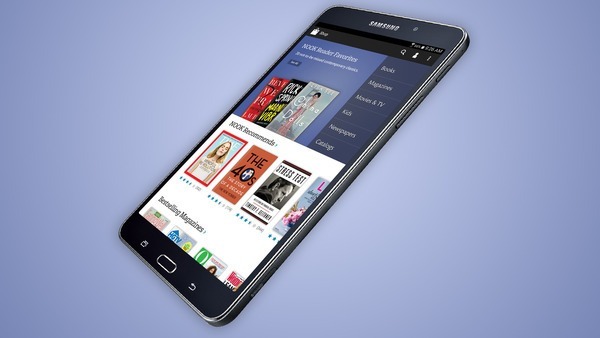 When Barnes and Noble released this tablet they were facing an increasing amount of competition from every major company. The iPad 2, Kindle Fire, Motorola Xoom, Samsung Galaxy Tab, HP TouchPad, Blackberry Playbook and many more had all entered the fray. Still, this tablet managed to sell quite well due to the prime real estate placement in all of their bookstores. At one point during the holiday season they were manufacturing close to 13,000 a day just to keep up with demand. 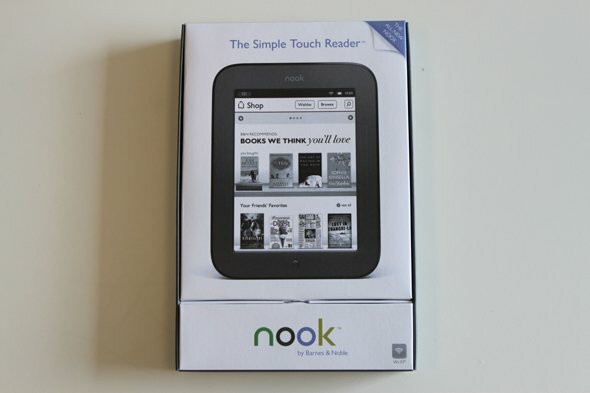 In April 2012 Barnes and Noble unveiled their second generation Nook Simple Touch for $139. The prime selling point behind this model was the front-lit technology. Sony was the first company that first developed it back in 2008 but Nook refined it by packing 8 LED lights at the top of the screen and eliminated the need for a reading light when reading in the dark. When this e-reader came out the sales of all Nook hardware begun to stabilize. During the holiday season sales decreased by over 10%. This prompted the bookseller to court Microsoft to be able to distribute content through their Windows OS. 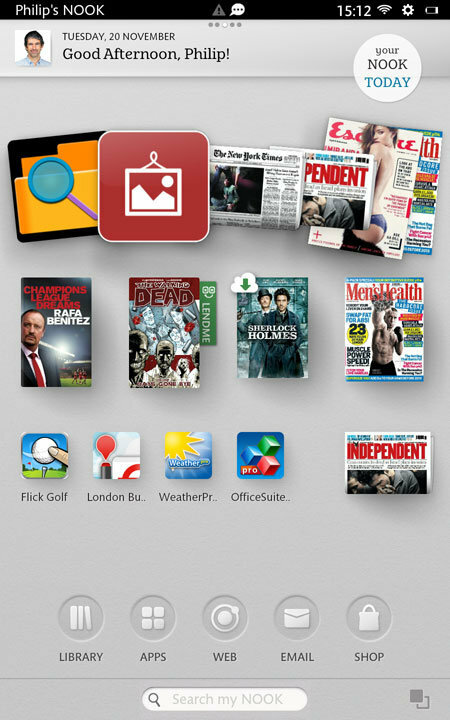 At first was was named NewCo, until the Nook was its own autonomous entity called Nook Media. Barnes and Noble started to notice Amazon eroding their tablet sales. This was primarily due to them having three different models out, that appealed to various price points. 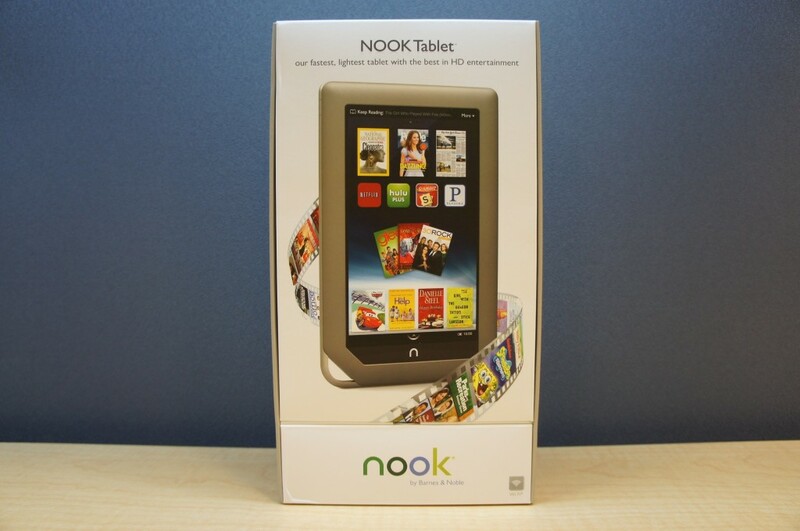 This prompted the B&N to issue two different tablets on November 1st 2012, the Nook HD and Nook HD+. The Nook HD competes with the 7-inch Kindle Fire HD and comes in two colors: snow and smoke (a dark gray). It has a Texas Instruments 1.3 GHz dual-core processor with 1 GB RAM. It can play back video at 720p from the NOOK Video store, much like Amazon.com’s Instant Video service. 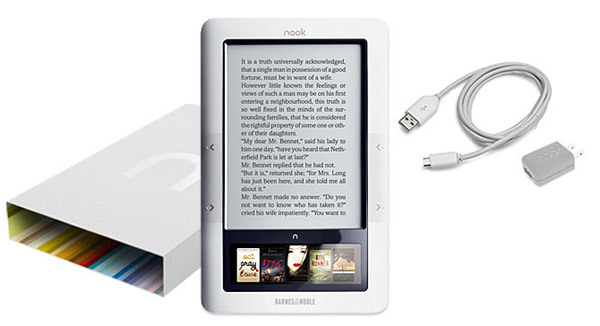 The Nook HD was initially priced at US$199 for 8 GB and US$ 229 for 16 GB. The HD was released just in time for the holiday season, but it wasn’t enough to garner a tremendous amount of profit. In January, they reported tablet sales in their retail locations and holiday sales fell by 12.6% over the previous year, and only garnered $311 million dollars. 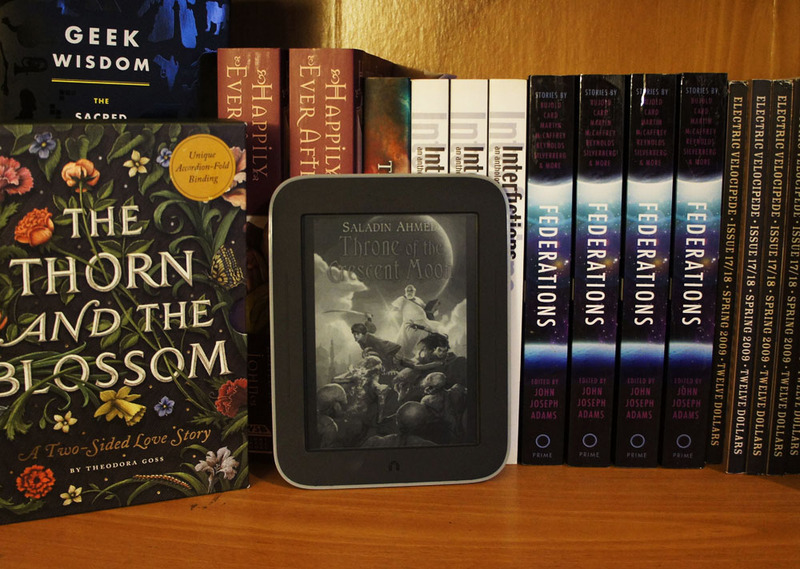 Nook HD+ is Barnes & Noble’s first tablet capable of playing back movies and television shows downloadable from NOOK Video store at 1080p resolution. 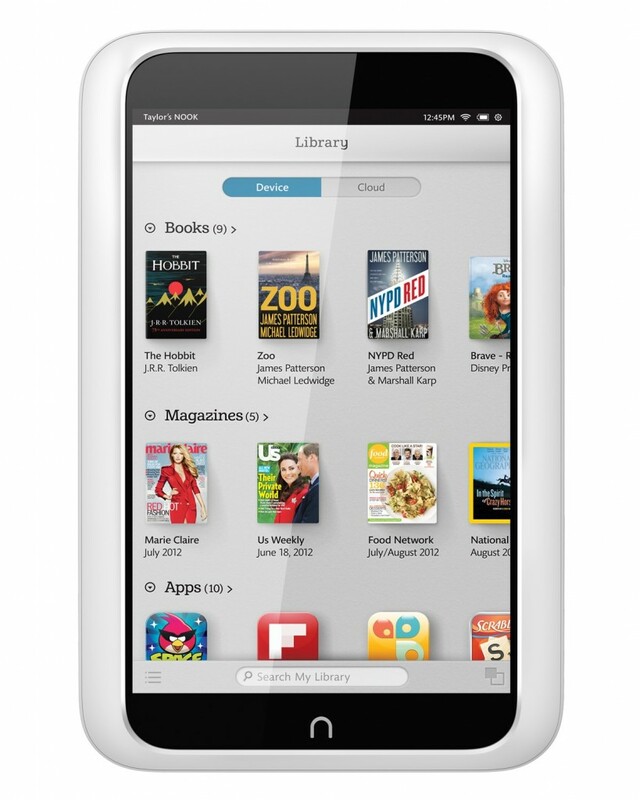 Announced on September 26, 2012, the NOOK HD+ is a 9-inch tablet with a 1920×1280 resolution. It competes with the similar 8.9 inch Kindle Fire HD and has a Texas Instruments 1.5 GHz dual-core OMAP 4470 processor and was initially priced at US$269 and US$299 for 16 and 32 GB, respectively. 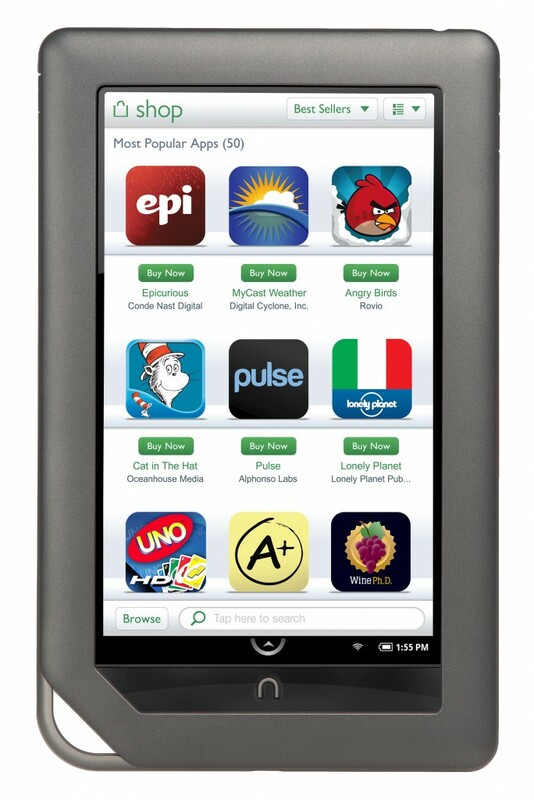 The Nook HD+ marked the first time the company really got account management systems right. It allowed it be shared with the family, with customizations and permissions for the kids. As a parent, you could establish what each account can have access to, such as the web-browser or app purchases. In early 2013 Barnes and Noble signed a deal with Google to make the Nook HD+ really viable internationally. 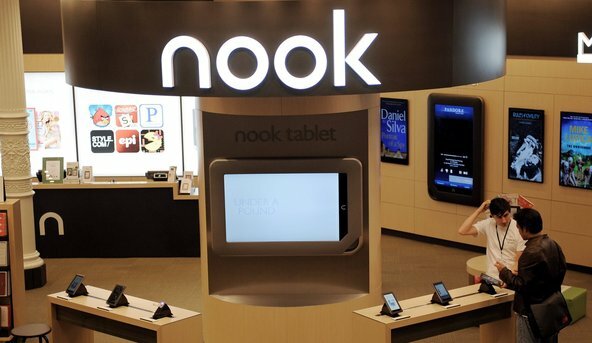 Up until this point customers could only use the Nook App Store to download content and required developers use their own proprietary API system. B&N also excluded other apps from their store that competed with them directly, such as Comixology, Kobo, Amazon and other manga apps. In April 2013 the HD and HD+ were upgraded to support Google Play and suddenly more people started to buy these. 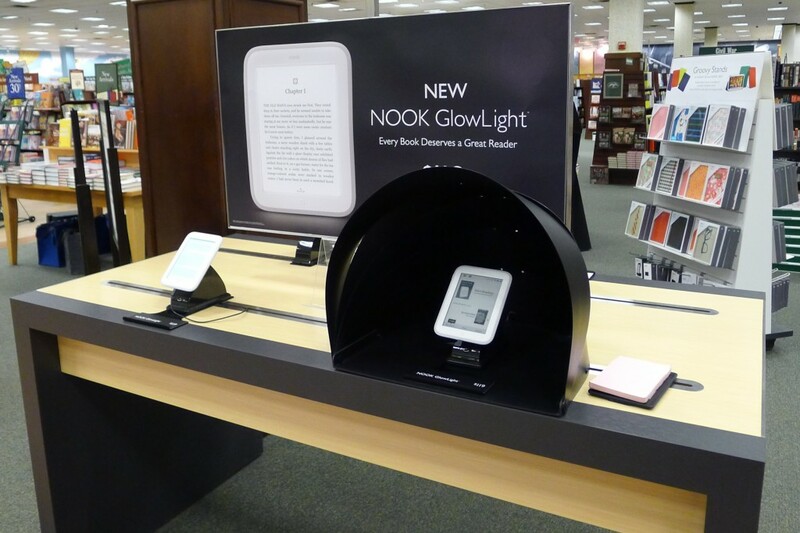 Barnes and Noble released the second generation front-lit display called the Nook Glowlight. It came out October 30th 2013 and had a price tag of US$ 119. The Glowlight uses a 6″ touchscreen with E Ink Pearl’s Regal wave, has Wi-Fi, and has a battery life of two months with wireless off. It weighs 6.2 oz with dimensions of 6.5″ x 5″ x 0.42″ and has 4GB of storage, of which 2 GB is reserved for Nook Store content and 512 MB for additional user content. The device uses Android 2.3 and it has an 800MHz processor with 256 MB of RAM. 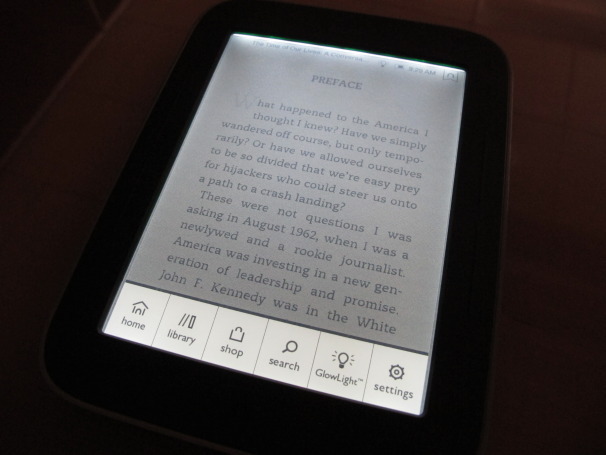 Compared to the old Nook Simple Touch Reader with GlowLight, the new Nook GlowLight has a white exterior, a brighter screen, a boost in screen resolution from 800×600 to 1024×758, and a more durable silicone edge. Compared to the Simple Touch, the MicroSD card slot and page-turn buttons have been removed. This is the latest generation e-reader Barnes and Noble currently has, and they have no plans to release a new model in 2014. They are still selling it in the US, but has since brought to over to the United Kingdom to supplant the Simple Touch Reader with Glowlight, which is getting a bit long in the tooth. Barnes and Noble for the first time ever is outsourcing the hardware and design to Samsung. B&N will focus on making the software great and Samsung will even kick in some marketing money to raise brand awareness. Not much is known about the specs right now, but Nook is having a media event in New York August 20th, where we should know more. Two models are planned, a seven inch and a 8.9 inch. Question: Am I the only one who thinks that most Nooks have been remarkably ugly devices? Those fat, bloated corners and bulging lines and surfaces — they look more like teething implements for toddlers than high-tech devices for grownups. Seriously, I’d be curious if anyone else has the same wincing reaction to their design esthetics that I do. The bezel design was on purpose for long term reading. Would be too easy to accidentally turn the pages on a device with no bezel. Will be interesting to see if any complaints arise with the Galaxy device for this very reason. I’m not talking about the existence of bezels, I’m talking about ugly (to my eye) bezels with fat, overly-rounded corners and bulging surfaces. Good point about the Galaxy 4 Nook, though. I wish Nook would go with a capacitive touchscreen instead relying on outdated Neonode IR Touch.